The First Toilet Gator Blog Post Ever Written – Toilet Gator: The Blog! That’s the blog I run for the purposes of entertaining 3.5 and only 3.5 readers. Never 5. Never 100. 3.5 and only 3.5. If you want to become one of the 3.5, feel free to do so. A quick explanation about what “Toilet Gator: The Blog!” is all about. 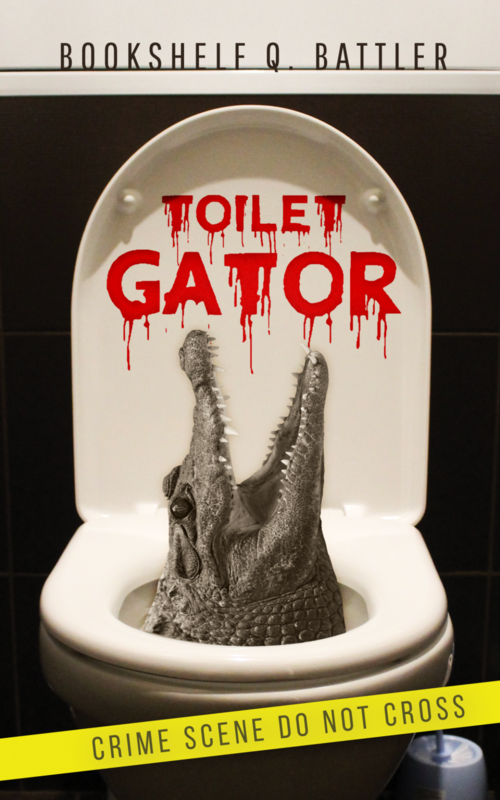 Last year, February of 2017, I began writing a book called “Toilet Gator” which, as you might have surmised, is about a toilet gator…who eats people…while they are sitting on the toilet. You wouldn’t think a book like that would be worth much, but I felt inspired as I wrote it. It’s got a lot of heart, there’s a genuine mystery involved, it’s funny if I do say so myself, and did I mention people are eaten on the toilet? More to come. Stay tuned. Oh, and do keep your time on the toilet to a minimum, because, well, you didn’t hear it from me but…toilet gators aren’t fiction.